Those who follow this blog will know that this performance was created for the Plymouth Synagogue, yet the Exeter synagogue is only a year younger and celebrated its 250th year last year. 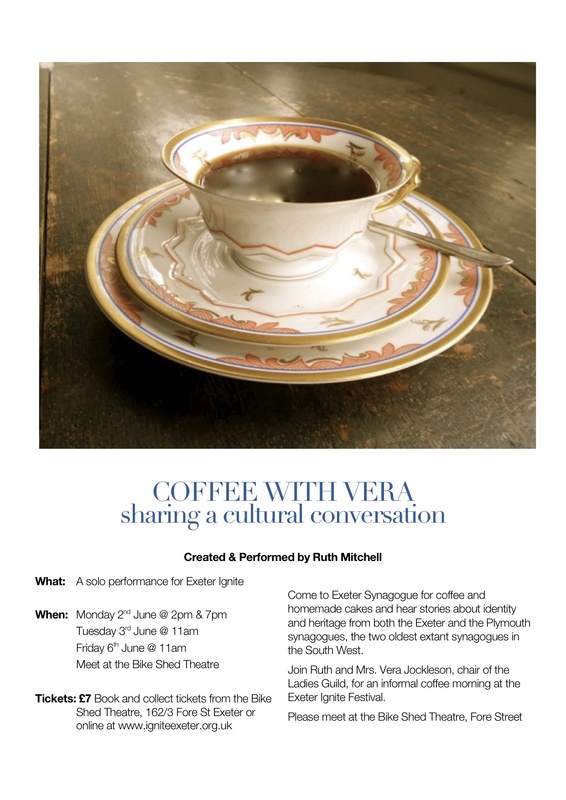 I have been looking at the links between the two synagogues and myself and will be sharing them within this performative coffee morning. So come along – coffee, cake… and you get to see a hidden treasure within the city centre. This entry was posted in Festival, Performances and tagged Exeter synagogue, Plymouth Synagogue on May 6, 2014 by Ruth.